Marrying vivid eyewitness storytelling with concrete analysis, Sachs provides a conceptual map of the world economy and the different categories into which countries fall, explaining why wealth and poverty have diverged and evolved as they have and why the poorest nations have been so markedly unable to escape the cruel vortex of poverty. 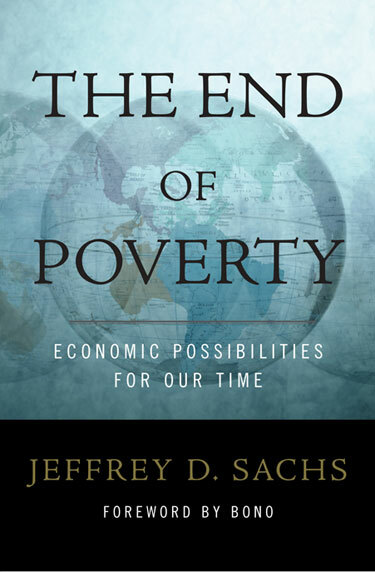 The End of Poverty does not deliver its worldviews from on high: Sachs plunges into the messy realities of economies, leading his readers through his work in Bolivia, Poland, Russia, India, China, and Africa, and concludes with an integrated set of solutions to the tangled economic, political, environmental, and social issues that most frequently hold societies back. Writes singer Bono in the forward, "[Sachs] is an economist who can bring to life statistics that were, after all, lives in the first place. He can look up from the numbers and see faces through the spreadsheets." Rather than a sense of how daunting the world's problems are, Sachs provides an understanding of how solvable they are  and why making the effort is both our ethical duty and a self-interested strategic necessity.